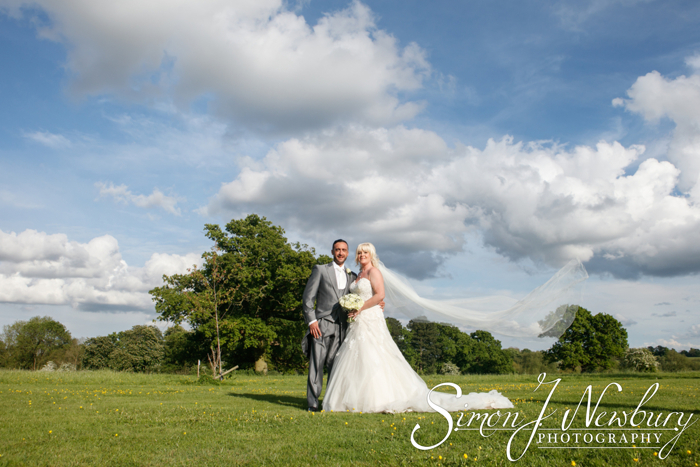 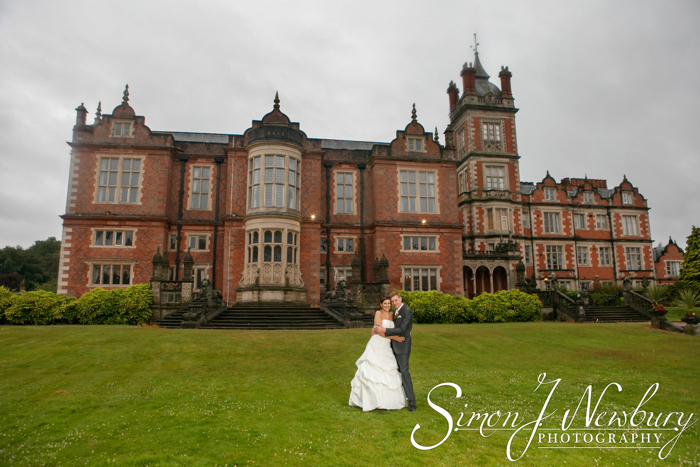 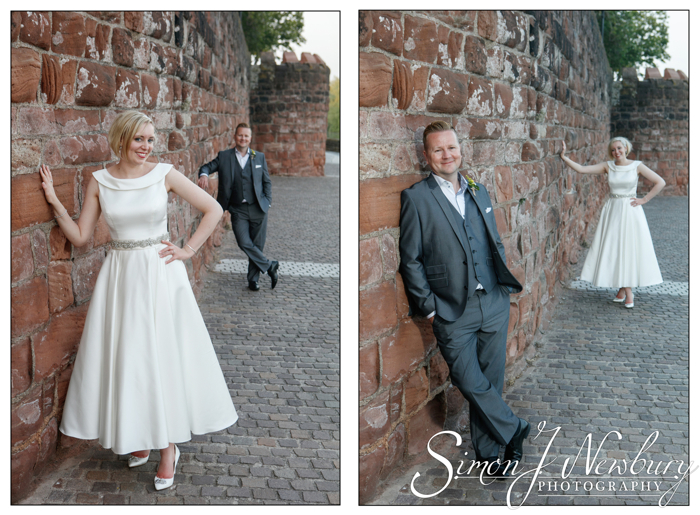 We had the pleasure of photographing the wedding in North Wales of Vikki and Richard from Nantwich, Cheshire. 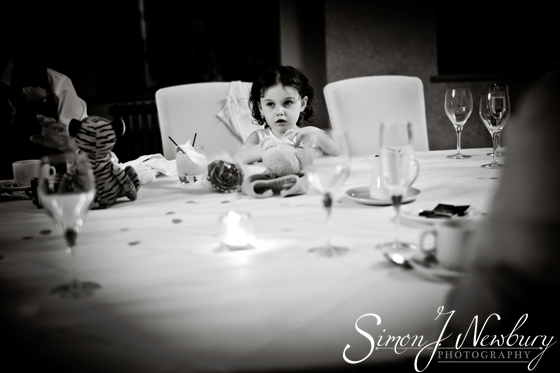 We first met the lovely couple a few years ago when we did a family photoshoot with their daughter Leila. 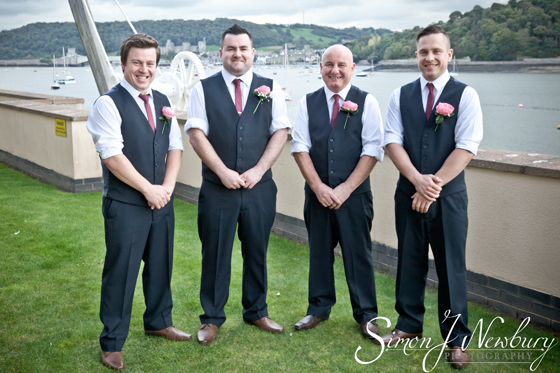 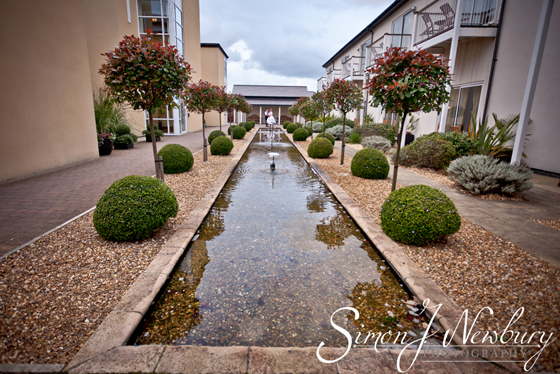 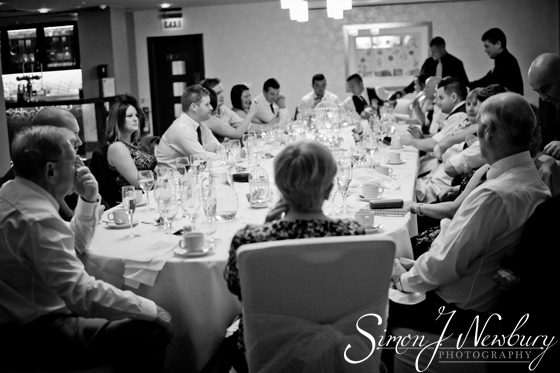 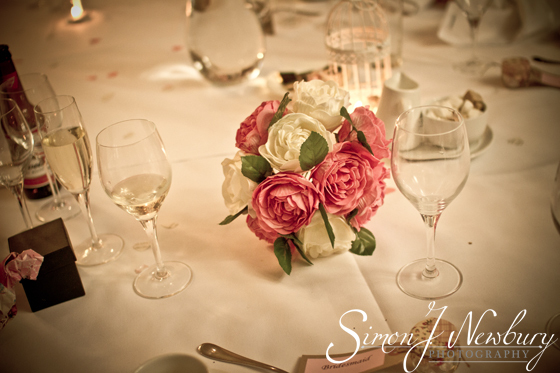 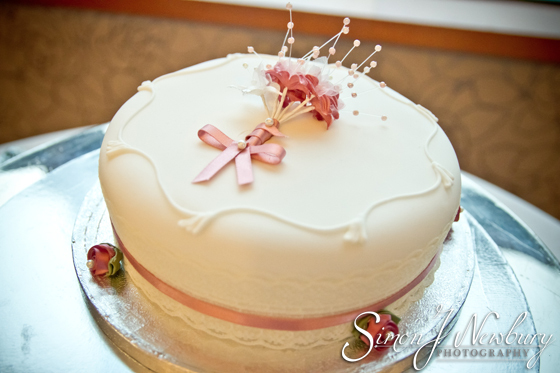 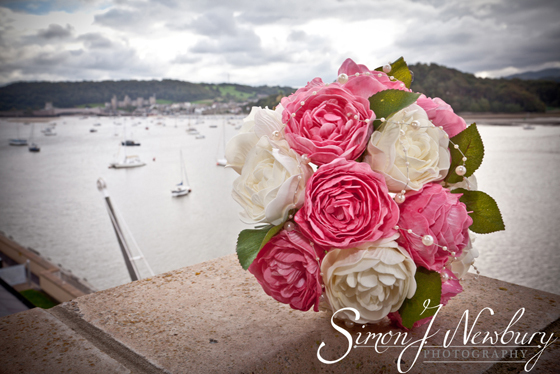 The wedding was held at The Quay Hotel & Spa in Deganwy, North Wales. 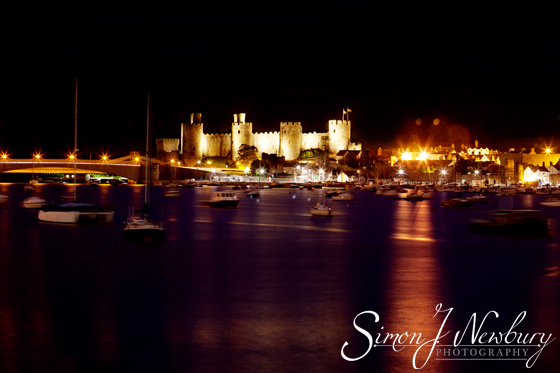 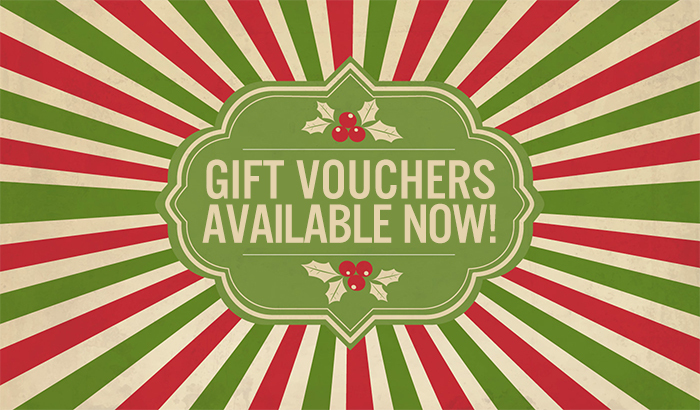 The Hotel is situated overlooking Conwy Castle and the Conwy River and Bay. 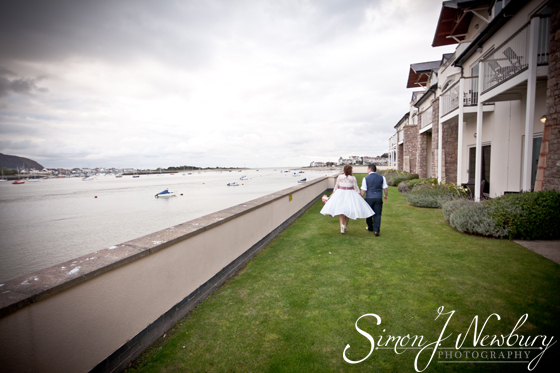 The views are amazing and makes for great wedding photography! 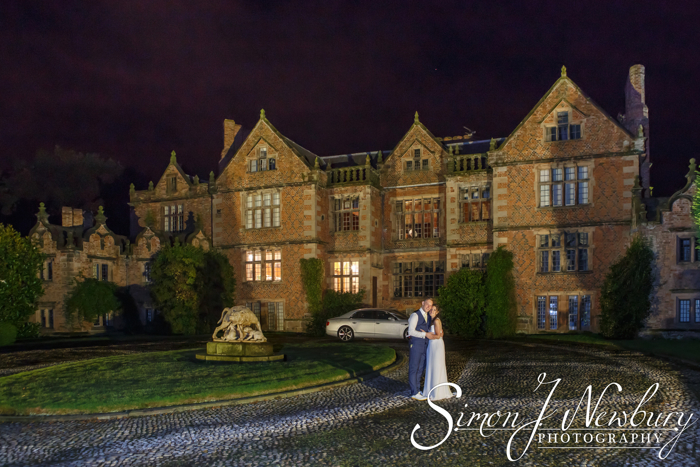 After a beautiful ceremony there were many great locations around the hotel and grounds for the couple shots. 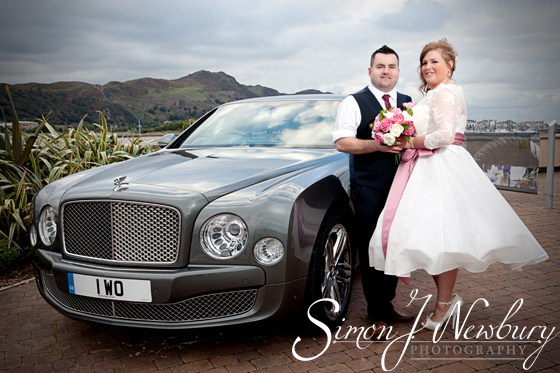 We were also treated to a £200,000 Bentley for some of the photos! 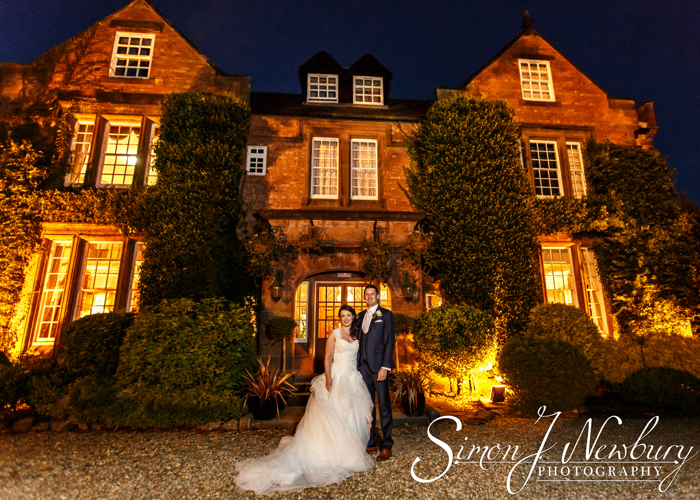 We also got a beautiful photo of the Castle which is lit up beautifully after nightfall! 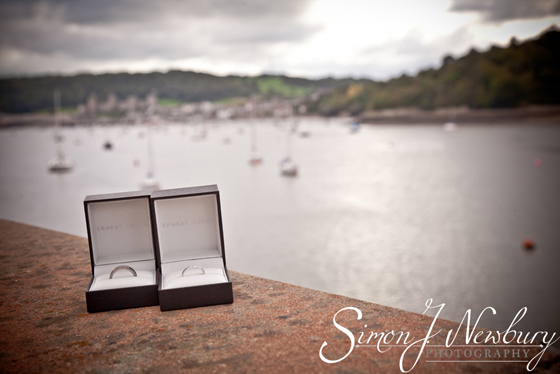 The day went very well and it was a beautiful intimate wedding in North Wales. 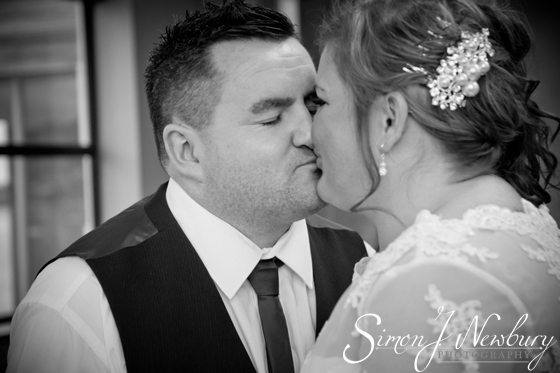 A few weeks later the happy couple (after a well deserved honeymoon in Las Vegas) had a larger reception at Nantwich Town Football Club which we also photographed to tell the complete story! 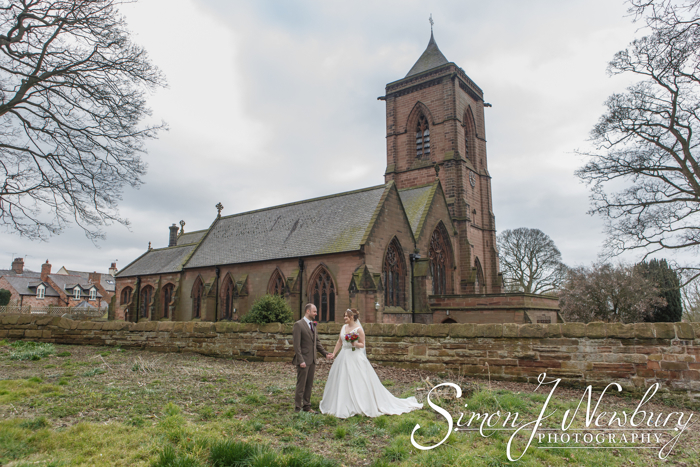 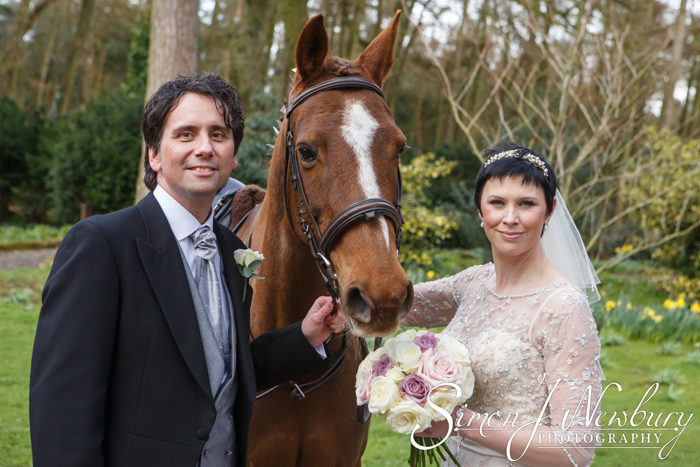 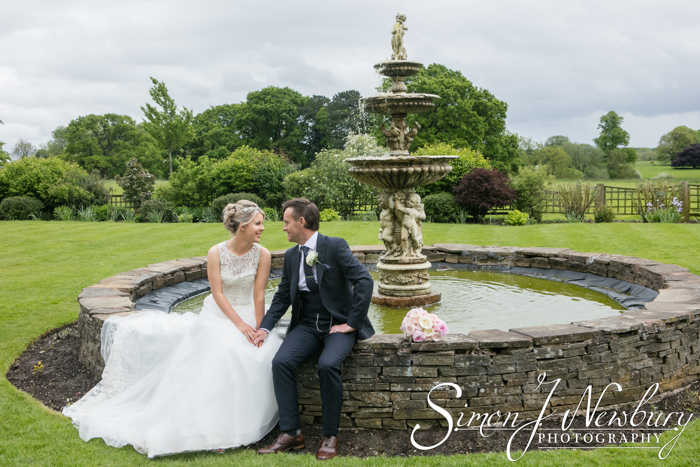 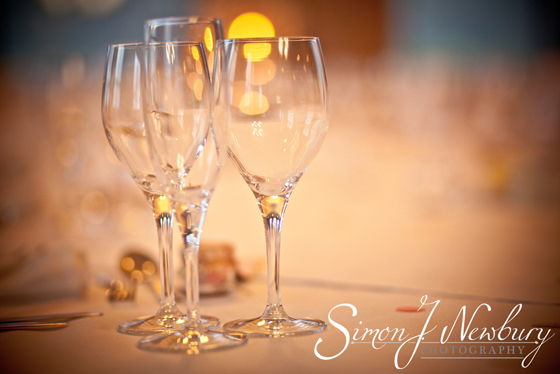 Choosing Simon & Tina to capture our special day was the best decision we could have made. 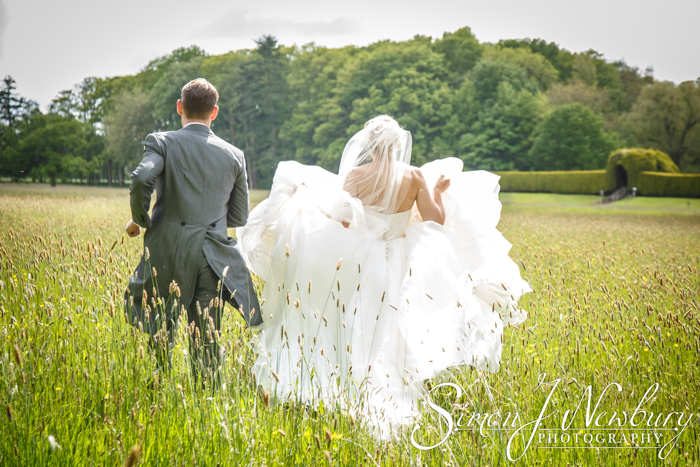 They made us feel at ease, and the way they managed to blend into the background meant they were able to catch the most candid and natural shots. 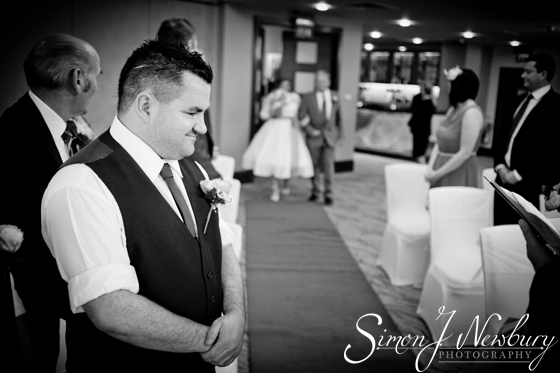 We are completely over the moon with the results and we cannot recommend them enough. 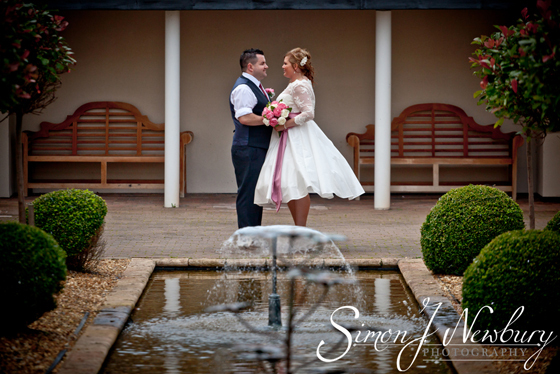 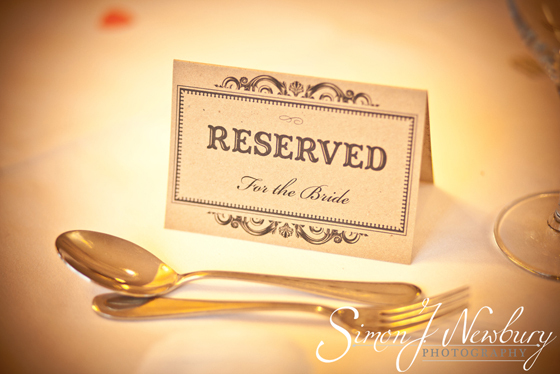 Check out our dedicated wedding photography website!